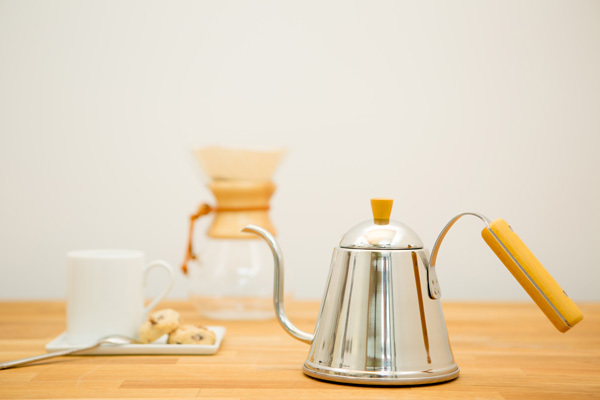 Wood Handled Stainless Steel Pourover Kettle 1.0L | Japanese products by Focus America Corporation. 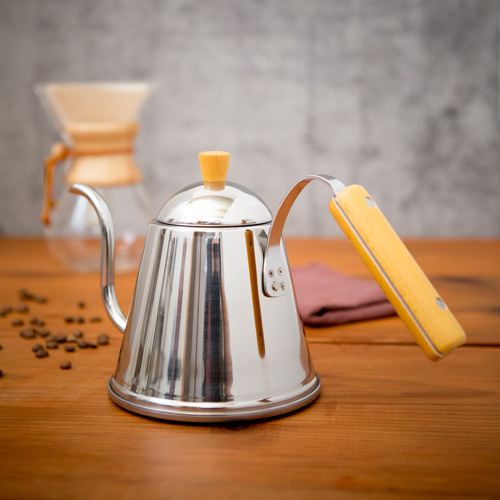 Sleek stainless steel with a classic birch wood handle, this pour over kettle is perfect for making slow-brew coffee. With a long, slender and curved spout allows precise control when pouring, which achieves a better brew and extracts the most flavor. Compare to the bulky machines, it saves kitchen space and the rustic look matches well with the Chemex. 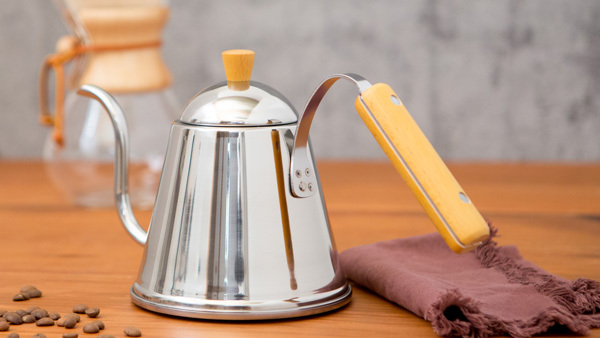 The Wood Handled Pour-over kettle 1.0 liter is made in Japan. You can use the kettle on gas, electric and induction stove.